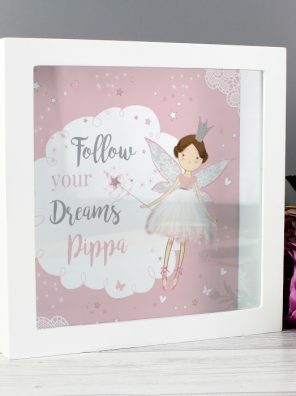 Our Personalised Fairy Princess Fund and Keepsake Box is a great way to save towards a special treat! This fund box can be personalised with a name up to 12 characters. All personalisation is case sensitive and will appear as entered. Please avoid entering the name in block capitals, as this may result in the text being difficult to read. The text ‘Follow your dreams’ is fixed and cannot be amended. 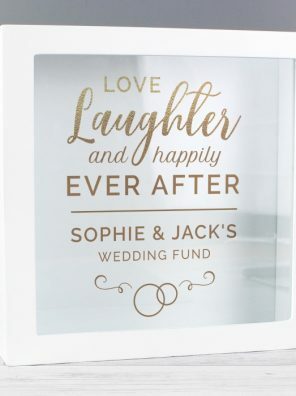 This Personalised Geometric Fund and Keepsake Box is a perfect way to store precious memories and save up for a special occasion! This box can be personalised with 3 lines of text, with up to 15 characters per line. Line 1 will appear above the black line. 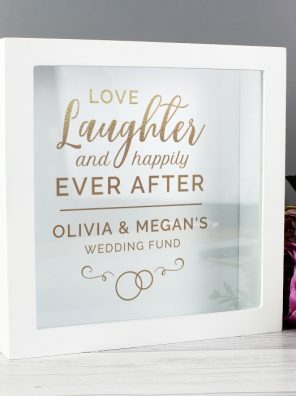 The words ‘Love, laughter and happily ever after’ and ‘wedding fund’ are fixed and cannot be amended. Personalise this Travel Mug with 3 lines of text up to 15 characters per line. All personalisation is case sensitive and will appear as entered. 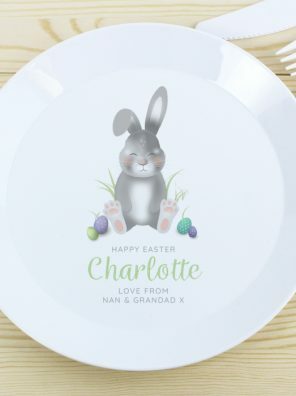 This Me to You personalised mug is a cute gift for him for Father’s Day. Personalise this whisky glass with any name up to 12 characters in length. The words ‘MEASURE’, ‘DOUBLE MEASURE’, and ‘SINGLE MEASURE’ are fixed. Please enter ‘s if required after name. Personalisation will automatically appear in UPPERCASE. Personalise the front of this Hero Dad mug with a name up to 12 characters and a message on the reverse over 4 lines of up to 20 characters. Line 1 will appear in fixed UPPERCASE the remainder of the personalisation will appear as entered and is case sensitive. 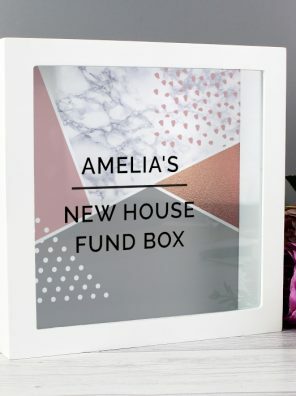 Save up for the big move with this Personalised New Home Fund Box! 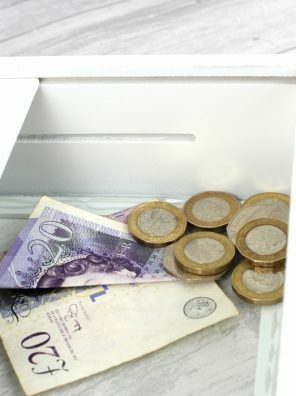 Personalise this fund box with a line of text of up to 20 characters. Please enter the apostrophe and s (‘s) if required. The text entered will appear in fixed upper case. 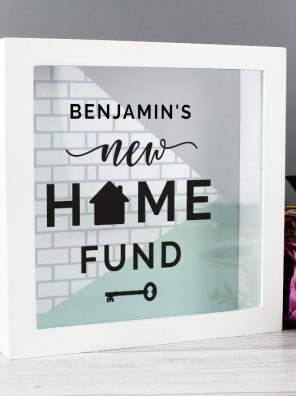 The words ‘new home fund’ are fixed and cannot be amended. This special chrome lighter makes the perfect practical personalised gift for that special occasion! Personalise this No.1 Shield Chocolate Bar with a name/role (i.e. Dad) upto 12 characters. On the reverse of the chocolate bar, a longer message of up to 4 lines of 20 characters can be added. All personalisation is fixed UPPERCASE.